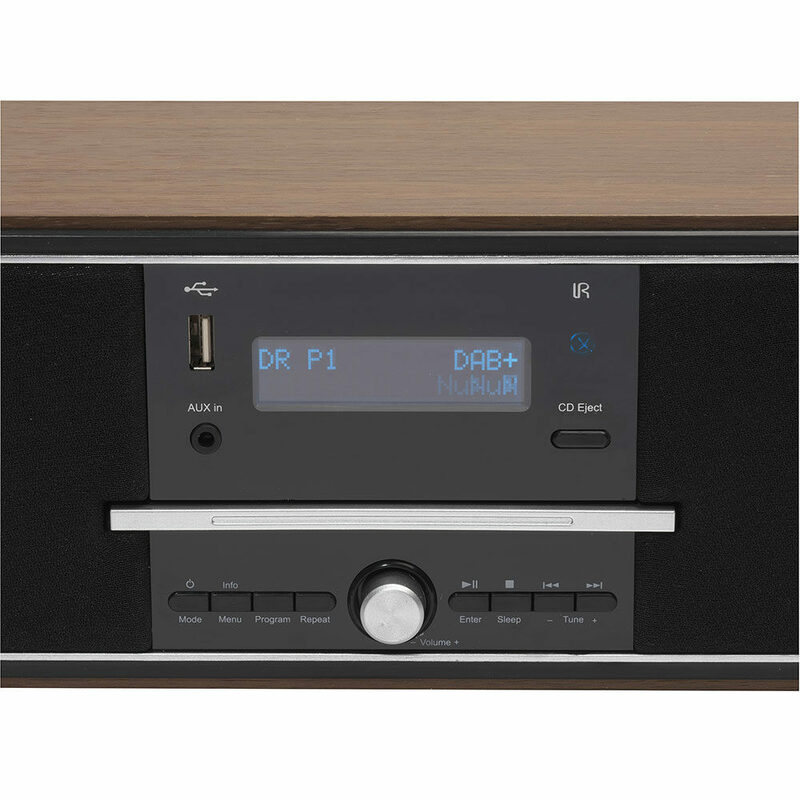 The Denver MDA-250 all-in-one micro HiFi system is stylish & feature-packed including a CD player, USB, MP3, DAB+ digital radio, FM radio, Bluetooth & AUX IN. 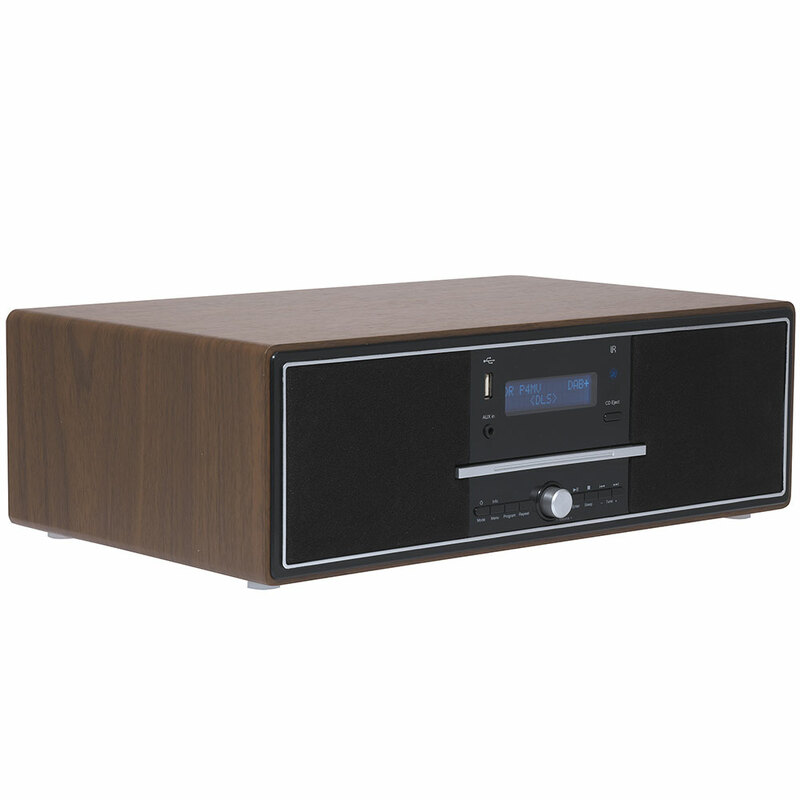 It’s powerful speakers with dark brown wood casing, digital amplification, 2 x 10 watt drivers and 5 EG preset levels give it clarity and depth of sound, with X-Bass option too. 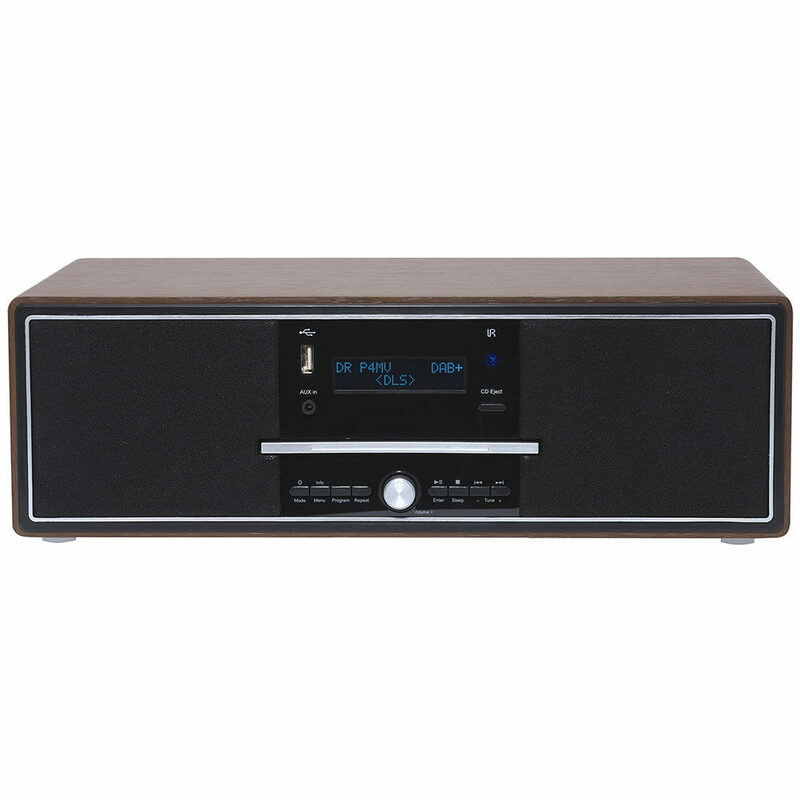 It’s wireless Bluetooth allows you to connect any mobile Bluetooth device, and it’s DAB+ & FM radio has 40 station presets for your listening pleasure. The dual audio alarm clock gives you two alarm settings for 2 people and the sleep function turns off your preferred audio at night. You can play all your saved MP3 tracks from the USB flash drive and control all the functions with the remote control from the comfort of your sofa or bed. The MDA-250 also supports MP3 CDs, has AUX IN connection for connecting other non Bluetooth audio devices, a headphone socket and has a very cool blue dot matrix LCD display. 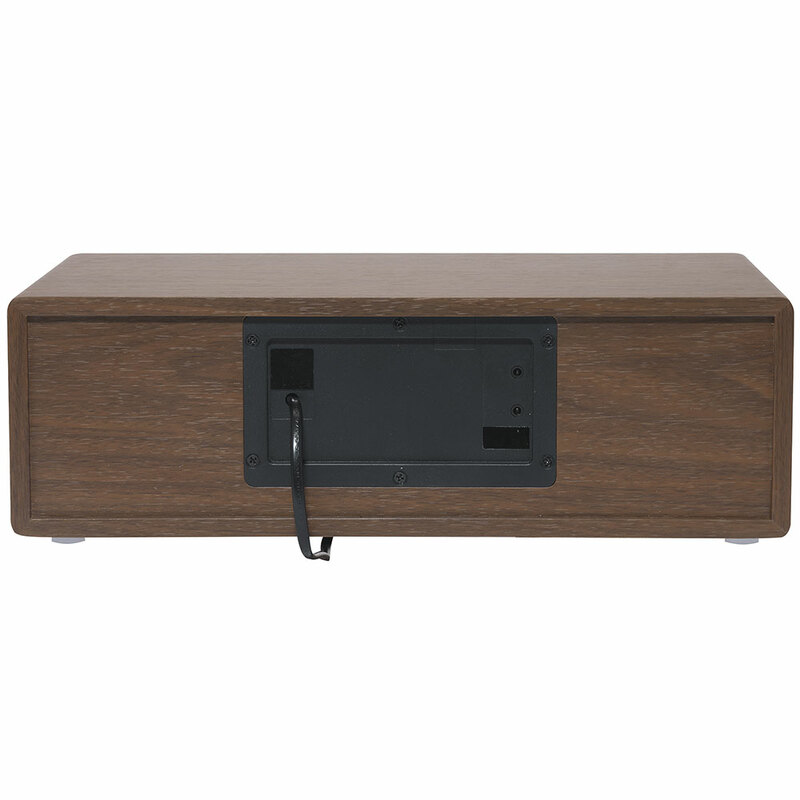 It features powerful stereo speakers combined with dark brown wood casing and digital amplification to give clarity & depth in its audio reproduction via the 2 x 10 watt drivers. 5 preset EQ levels to choose from give premium audio settings to suit your music taste. X-Bass feature can be turned on for further increased rich, deep, bassy audio. Wireless Bluetooth means easy connection to your portable devices and playback of all your mobile music from phone, tablet or MP3 player. 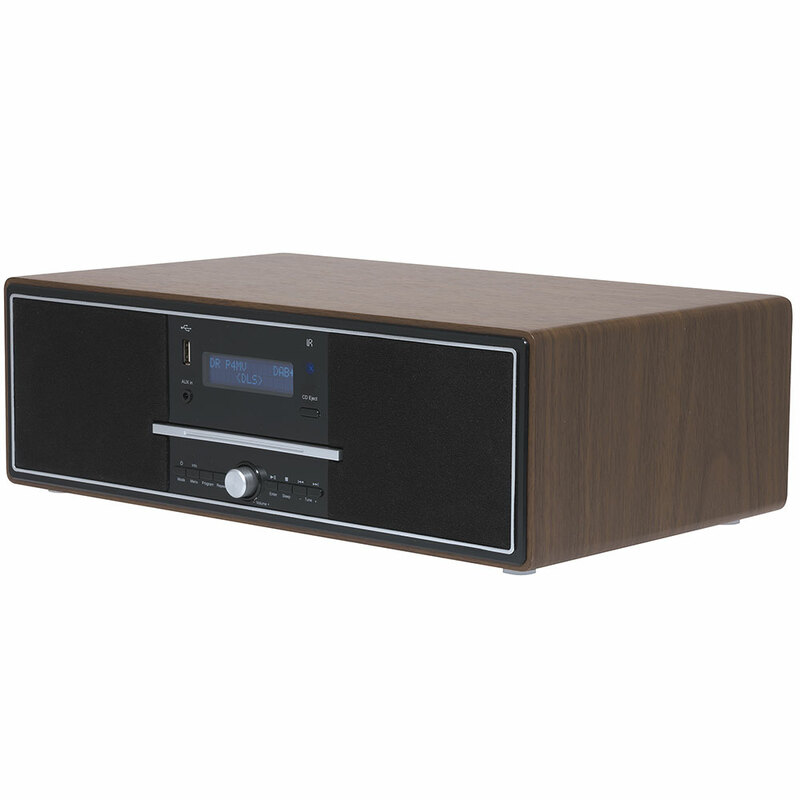 Play internet radio or your favourite music streaming service from your mobile device straight on to the MDA-250. Save all your favourite radio stations to the radio memory. The MDA-250 allows you to save 20 DAB stations and another 20 FM stations for fast recall of your preferred channels. Clock is permanently displayed on screen. Set twin alarm times to suit you & your partner. Choose Snooze function to snooze your alarm, if you’re not quite ready to get up yet. Use the Sleep function to fall asleep to your preferred audio and have the stereo turn itself off. 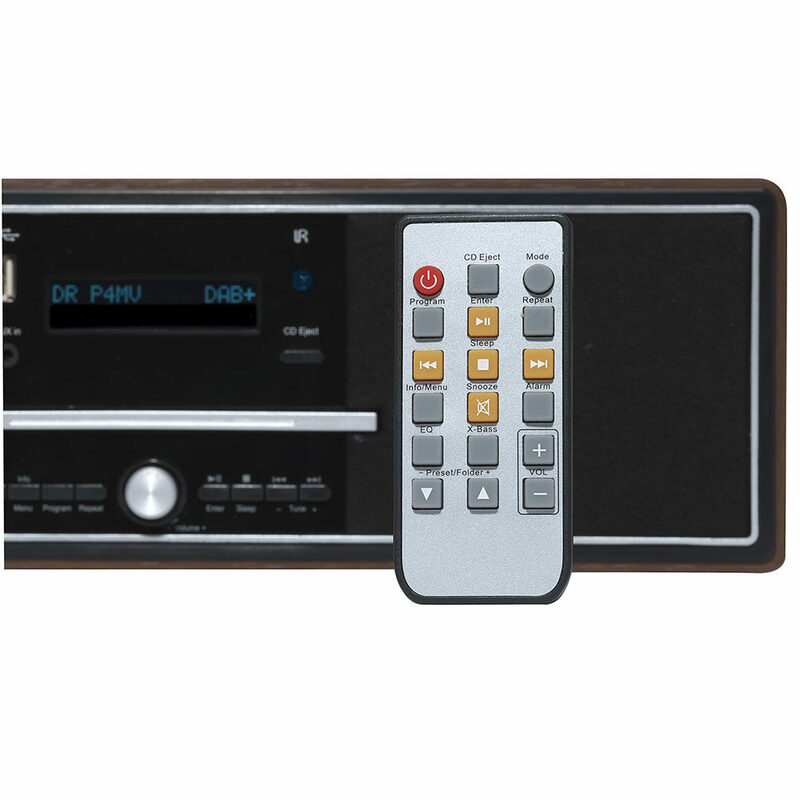 Control all functions of the MDA-250 using the remote control including volume level, Snooze / Sleep or preferred audio mode. The MDA-250 supports MP3 CDs, has AUX IN connection for connecting other non Bluetooth audio devices, headphone socket and has a very cool blue dot matrix LCD display. – Free 1 year warranty& dedicated UK technical help centre. 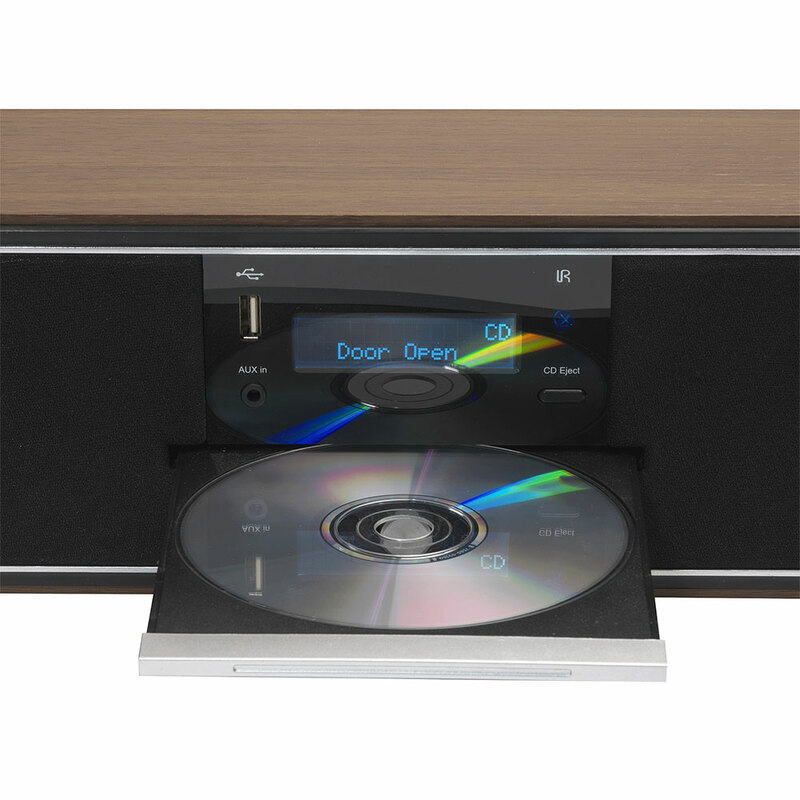 Hi, this CD stereo operates only using mains power cable and is not battery powered at all.